Sony Ericcson has added a new pair of headphones to their range, but these new ones are slightly different than any we have seen before, the Sony Ericsson MH907 Motion Activated Headphones. The Sony Ericsson MH907 headphones are motion activated, to start listening to music, users just place the two headphones in their ear, if you want to pause the music, you just remove one ear bud, and to start listening to the music again just place it in your ear. They certainly sound very interesting, and it would be cool to be able to control your music by just placing your headphones in your ears. 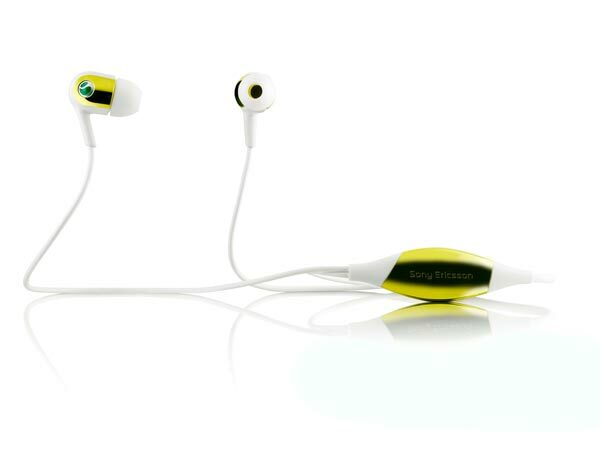 The Sony Ericsson MH907 Motion Activated Headphones will come in a range of colors, including yellow/white and chrome.